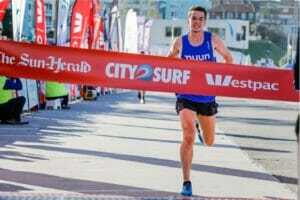 The Sun-Herald City2Surf presented by Westpac is a fun run; a positive, community-driven event where the end goal is to have a great time. Just by doing the City2Surf, you get absolute legend status and deserve a huge pat on the back. But even the best of runners hit a wall so here are some tips to breaking down those barriers that might come up. We’d just like to repeat that by doing the City2Surf, you get legend status and deserve a huge pat on the back. Or a new pair of trainers. Or a relaxing massage. Or a weekend away. Why not have a treat in mind for yourself, and focus on that while you’re on being a superstar and working towards the finish line. It will motivate it you and make completing the race all the more sweeter. Running is equally a mental challenge as it is a physical one. Running, jogging and distance walking can be met with crippling negative thoughts. No matter what our level of fitness, if you’re too tired, you’re going to get grumpy. And grumpiness will turn into negative self-dialogue, so make sure you’re adequately rested. Monitor your workouts to avoid overtraining, as you can deplete your body of the feel-good hormones serotonin and melatonin. Overtraining can fatigue your emotional response to running as well, and can lead to feelings of “ugh, I’m doing this AGAIN?” Keep your passion for running in check – don’t run yourself out of having fun. Practice affirming mantras as having a positive inner-monologue can make a huge difference to your performance (see #4). With more than 80,000 people expected to compete in the City2Surf in 2018, for some people, that can be a big number to process. 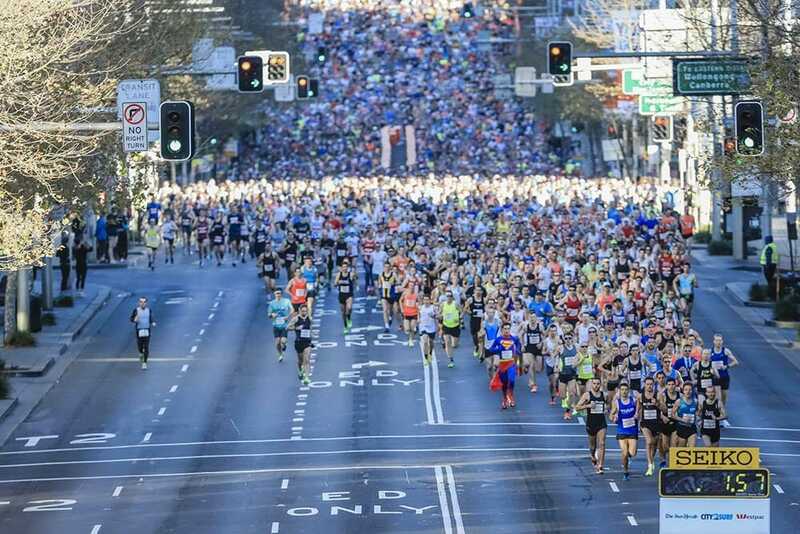 City2Surf has a number of groups that are categorised according to athletic performance, and they all have different start times, this means groups and crowds are minimised. Check out all the details about group segmentation here. Keep in mind your group’s start time so you don’t rock up too early and feel overwhelmed. Another great strategy is to bring someone, or a small group, who understands any conditions or triggers you may have and will provide you with support and focus on the day. Find safety in your tribe, and think about a strategy that will work for you. Every runner, every fitness enthusiast, has an internal dialogue they turn to at that moment when they need motivation. Whether it’s finishing the race, smashing their personal best or finding that last ounce of energy for the winning sprint, positive self-speak is every athlete’s best friend. It could be a quote from Steve Moneghetti (City2Surf OG), Turia Pitt, or Muhammad Ali that you find inspirational, or even a line from a song or movie (and who doesn’t watch Rocky the night before a race – just ask Tim Robards). Whatever – and wherever – you get the inspiration from, make sure that the quote fills you with the emotional equivalent of an air punch. If you’re as regular as clockwork, factor this into your race-day schedule. This is especially relevant if you’re visiting from another State or country where your body clock might be a bit out of whack. But no matter what happens, a healthy sense of humour is the best treatment should such ailment afflict you or any other runners. Whether you have a pre-existing injury, or want the best for a healthy body on race day, injury management is crucial to the performance and longevity of any runner. This is especially good advice for those suffering from an existing injury, preparation should begin long before the race. 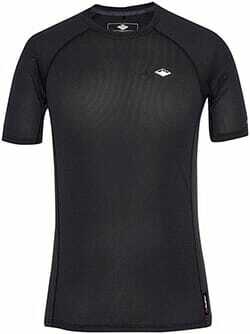 And make sure you know your running baseline and only then start increasing distance on that gradually. Overtraining can cause a host of issues as well, with the common culprits being Plantar Fasciitis, Achilles Tendinitis and ITB Syndrome. So again, know your limits and incrementally increase until you reach your desired output, whether it’s speed or distance. There are some very simple tips designed to trick the mind and diminish the obstacles that you may face during your run. Ultimately, we want to convince our minds that we are not seeing a wall, just a series of bricks. Breaking down a whole into its parts is a common and hugely successful technique that can yield excellent results when applied to the runner’s mind! When applying this approach for the City2Surf, you might find it useful to count down the suburbs once you’ve run through one. Passed the Coke sign? Goodbye Kings Cross. Heartbreak over? See you later Rose Bay. Adding a sense of achievement as you progress will reinforce a positive mindset and get you to the finish line much happier. Self-consciousness is something we all face in every facet of our lives; at work, parenting, at the gym. Ask any runner if they’ve ever felt embarrassed to be passed on while training, and you’d be lucky to find someone not afflicted by this. There are two words, however, that will ease your mind: Heartbreak Hill. One thing that pretty much all runners of the City2Surf can be sure of is, when it comes to running up Heartbreak Hill, the last thing you’ll be thinking of is whether the person next to you has better leg motion, or their cadence is slower, or that they’re looking more composed. All that will be going through your mind, and the minds of everyone around you, will be to just up and over that hill – we promise you! Thinking that you may not have trained enough is an unnecessary worry that can easily be remedied. And as long as you are not putting yourself to the point of injury-risk, there’s not a whole lot of reasons to worry about undertraining at all. 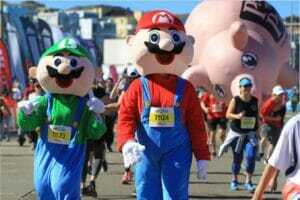 When competing in the City2Surf fun run, remember that it is a fun run. Go out there, run with the other 80,000 people who are all doing their best, and have a blast. Nothing good will come of trying to cram in exercise at the last minute; you won’t get any fitter rapidly, and you’ll be at serious risk of straining something in your body. Instead, focus on what your optimum output is and feed of the energy and excitement of the crowd. Pace yourself. If you start out firing at 90%, you’re going to fatigue very soon. And then you won’t enjoy the race at all. Race strategically and make having a good time the priority. The City2Surf is an all-inclusive event that encourages everyone to have fun and improve their fitness. So knock down those negative barriers and instead go have a great time! Tickets sell out fast so make sure you register now – and show the running barriers who’s boss!